Do you dream of a job as a successful television writer on a hit show? Lee Goldberg and William Rabkin give you practical but essential advice to help make your dreams a reality. They teach you how to discover the "Franchise" or structure of a television show in order to write a successful and eye catching spec script. The four-act structure is covered, along with the elements that go into telling a good story. After you've blown them away with your spec script, learn how to pitch confidently and concisely. You'll also find invaluable information on how to work with producers, how to handle your first writing assignment, and tackle revisions. Also included are Writer's Guidelines, and beat sheets, from several television shows to help you familiarize yourself with the way writer's work. LEE GOLDBERG and WILLIAM RABKIN are veteran "showrunners" whose executive producing credits include the long-running drama "Diagnosis Murder" and the action-adventure hit "Martial Law." Their writing and producing credits also include "SeaQuest 2032, Spenser: For Hire, Hunter, Baywatch, Sliders, The Cosby Mysteries, Monk, and Nero Wolfe," to name a few. Both are former journalists who covered the television industry for "Newsweek, American Film, the San Francisco Chronicle, and the Los Angeles Times Syndicate," among others. In addition, Rabkin has directed episodes of "Diagnosis Murder" and has taught a popular television writing course at UCLA. 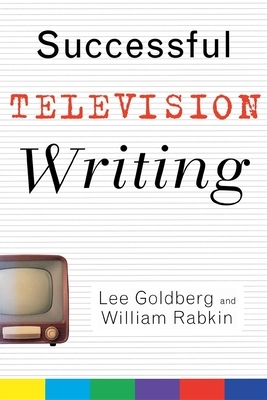 Goldberg is also a mystery novelist ("Beyond the Beyond, My Gun Has Bullets") and the author of a definitive book on television series development ("Unsold TV Pilots"). He has taught writing seminars in Seattle, Miami, Denver, and Edmonton, Canada.